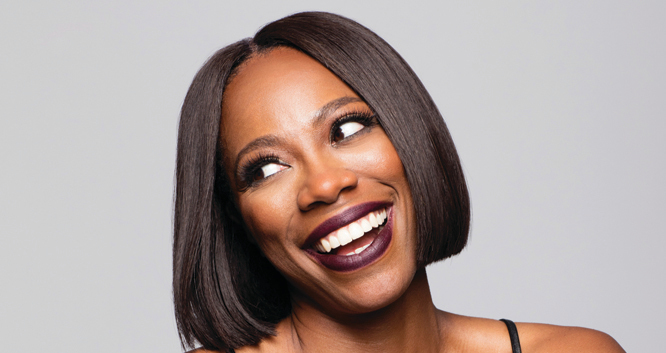 Yvonne Orji is a Nigerian-American actress, comedienne and writer who continues to display her versatility and passion with each project she takes on. On television, she stars in HBO’s critically acclaimed comedy series Insecure. Orji stars as one of these women opposite Issa Rae, who is executive producing the show along with Prentice Penny and Melina Matsoukas. She is also currently developing a half-hour sitcom based on her life entitled First Gen, that Oprah Winfrey and David Oyelowo are executive producing. The show is a comedy about a Nigerian girl who trades medical school for a career in stand-up comedy and the adventures that ensue after her strict African mother discovers her plans. Yvonne has opened for Chris Rock and travels the world performing comedy. Yvonne will be making her big screen debut this September, starring opposite Kevin Hart and Tiffany Haddish in the movie, NIGHT SCHOOL. Additional television projects she has been involved with include The Africa Channel and BET’s Comic View and the Martin-Lawrence produced, TV One series Love That Girl. She also hosted a YouTube series called The Conversation, presented by P4CM. Outside of her creative work, she is dedicated to her charitable efforts. In 2008 and 2009 she spent six months working in post-conflict Liberia, with Population Services International (PSI), an NGO that utilizes social marketing in the adoption of healthy behaviors. While in Liberia, she worked with a group of talented youth to help build a mentoring program as well as a weekly talk show that helped educate and prevent against the spread of teen pregnancy and HIV/AIDS.